Mr Ola Woldmo has been appointed to the position of Managing Director of Normet Scandinavia AB, starting in his new position on October 1, 2012, in Ludvika, Sweden. Ola, a Norwegian citizen and civil engineer, has over 30 years of experience in the project management and as advisor for major civil engineering and infrastructure projects in Europe, Africa, South America and South East Asia. Ola is a globally recognized expert and advisor for rock mass grouting, rock support and sprayed concrete and has built his career on 18 years in management positions within the Norwegian contractor Veidekke AS and as General Manager for BASF Construction Chemicals Norway, to name a few. For several years Ola was the Sales and Technical Manager for MBT-Degussa UGC in Hong Kong and later the responsible UGC Director for Asia/Pacific based in Singapore. He is joining Normet from Woldmo Consulting AS, where he was the CEO, and acted as advisor among others to Leighton Contractors in Hong Kong, SKAVA in Codelco’s Andina Mine in Chile, Bombela/Bouygues’ Gautrain project in Johannesburg, South Africa. 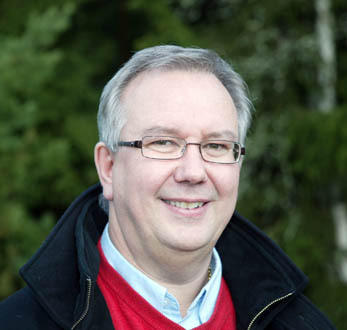 Ola is a member of the Norwegian Tunnelling Society’s International comittee and a frequent lecturer on seminars and training courses related to rock support.